A fully equipped Cleantouch van ensures great cleaning results • Every Time! Scroll down to find out what our clients say about us! Scroll Down to find out more about Cleantouch Cleaning! It’s not just our dedicated team that make us so special. It’s that we actually care about delivering a fantastic service to our clients. And we do this by investing in the right training, the right equipment & the right staff. We have some great opportunities for the right individuals to take control of their own future with a Cleantouch Franchise. You could run your own Cleantouch area, reaping the rewards of your hardwork & the Cleantouch System. Our vision is to deliver a superior cleaning service at value for money. We pride ourselves on providing a personalised service to each individual client and in turn building long term relationships and excellent rapport with our clients. Cleantouch was established in 2001 with the firm belief that our clients deserve the best quality of service, coupled with technical excellence, attention to detail and a personal service. We fully assess each client’s cleaning requirements and match them with an experienced cleaner prior to starting our contract with them. We then keep in regular contact with the client to ensure that they are happy with the Cleantouch service. Cleantouch also provides a friendly and reliable call-back service to ensure that our clients remain happy and loyal to Cleantouch for the long term. Our service is competitively priced and highly professional, giving all of the client-focused advantages of a large company owned operation alongside the personal touches of a privately contracted cleaner. 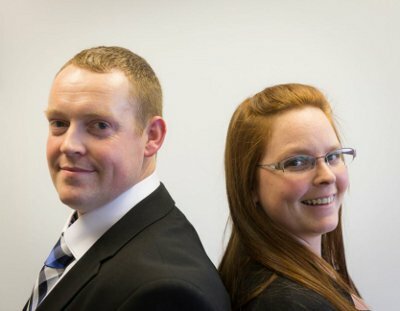 With many satisfied clients throughout the domestic, retail, commercial & healthcare sectors; Cleantouch Cleaning is now delighted to be able to offer franchise opportunities for the right individuals keen to take control of their own future & create a strong business with the support of the Cleantouch brand. From office cleans to domestic, retail & healthcare cleaning, the Cleantouch team have the equipment, the knowledge & the determination to ensure the best possible results for our clients. What are our valued clients saying about us? My business is open seven days a week which makes it difficult to have carpets cleaned. This wasn’t a problem for Cleantouch who arrived out of hours, did an absolutely thorough job late into the evening which meant that the carpet was dry and ready for the next day. I can’t recommend them highly enough. I recently recommended Cleantouch to a local Company who had a long standing graffiti scrawled on their wall. Not only was Antony’s response swift, courteous & cost effective but he sucessfully removed a long standing eyesore & I have no hesitation in recommending him again. Cleantouch have been cleaning my house for the past 12 months and I must say that they deliver a consistent quality service week in, week out. They always arrive when arranged and leave the house feeling brand new, I would not hesitate to recommend them to any of my friends and family. I recommend Cleantouch to all our customers who we install AMTICO & KARNDEAN flooring for. Anthony always arrives at the arranged time, charges a fair price and undertakes a thoroughly fastidious and professional service. I have received many compliments and thanks for recommending him to customers both old & new. I have used Cleantouch for domestic and commercial cleaning for 18 months. They have provided an exemplary service at all times. I would not hesitate to recommend them to others and in fact have done on a number of occasions. Cleantouch have done absolutely fantastic work in the Southport Football Club Grandstand Bar and around the stadium especially the Vice President’s Box inside and out. I have used Cleantouch several times from a simple carpet through to a full house clean and found the service to be impeccable and the final result to be of an extremely high standard. Their prices are very competitive and I have no hesitation in recommending them to family, friends and clients. 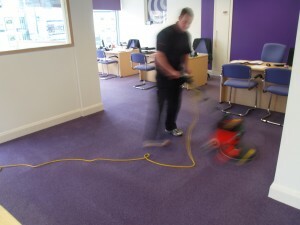 A number of carpets in my home and business premises needed a good clean. I used Cleantouch and was amazed. The carpets came up looking brand new. They turned up on time, worked quickly and efficiently and I was impressed by the end result and all for a fair price. Give them a call! by The Duncan Reid Consultancy.